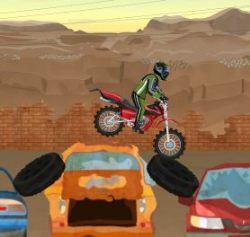 Ride your enduro dirt bike across the junkyard to the finish line as quickly as you can. 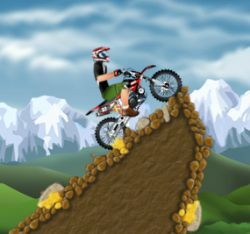 There are 16 levels to complete, but you only have 6 bikes to get through all of them. 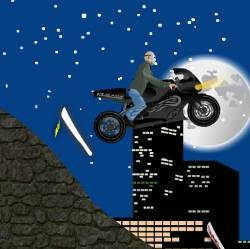 Use the UP ARROW to accelerate, DOWN ARROW to brake, and the LEFT/RIGHT ARROW keys to lean backwards and forwards. Press SPACE BAR to restart / advance to the next level. 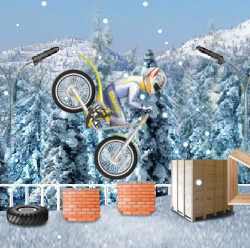 Click here to send Enduro 3 to your friends using your default email program.